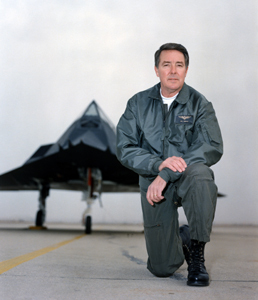 18 June 1981: At 6:05 a.m., Pacific Daylight Time (1305 UTC), the first Full Scale Development Lockheed YF-117A Nighthawk, 79-10780, made its first flight at Groom Lake, Nevada with Skunk Works test pilot Harold “Hal” Farley, Jr. at the controls. The super-secret airplane was made of materials that absorbed radar waves, and built with the surfaces angled so that radar signals are deflected away from the source. 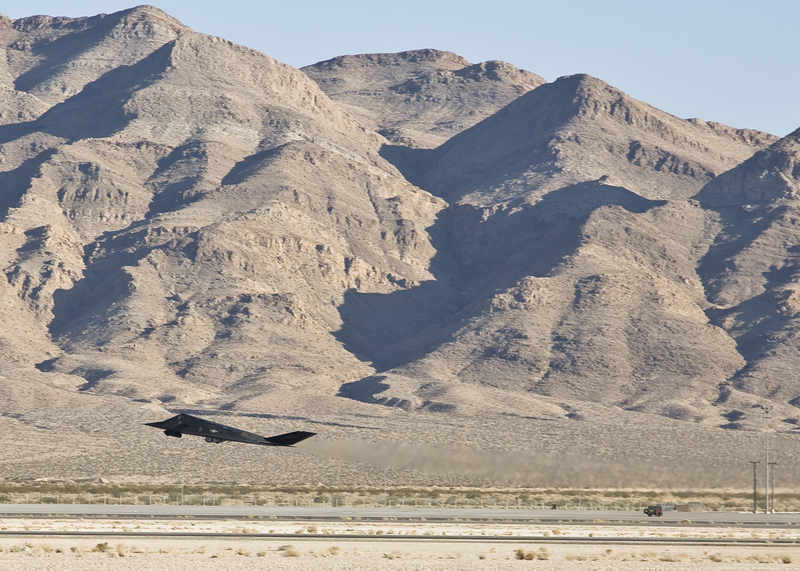 Commonly called the “Stealth Fighter,” the Nighthawk is actually a tactical bomber. Five developmental aircraft and 59 operational F-117As were built. They were in service from 1983 until 2008, when the Lockheed F-22 Raptor was planned to assume their mission. They are mothballed and could be returned to service if needed. 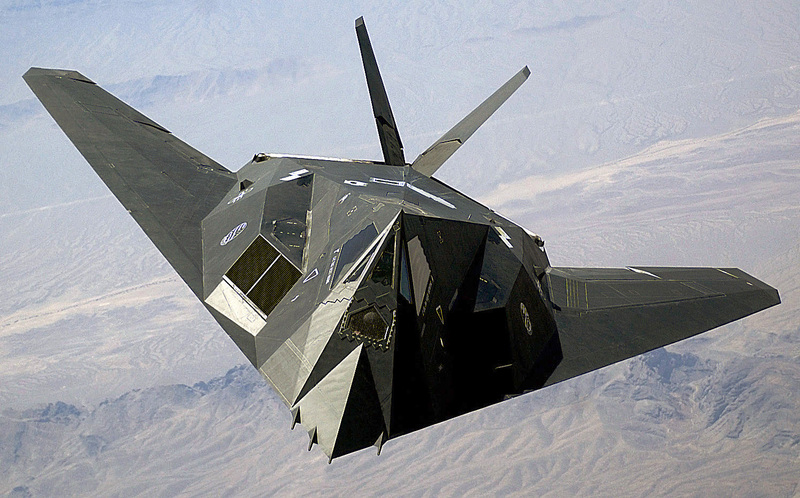 The Lockheed F-117A Nighthawk is a single-seat, twin-engine tactical bomber with swept wings and tail surfaces. It is 65 feet, 11 inches (20.091 meters) long with a wingspan of 43 feet, 4 inches (13.208 meters) and height of 12 feet, 5 inches (3.785 meters). The wings’ leading edges are swept aft to 67° 30′. The total wing area is 912.7 square feet ( square meters). The Nighthawk has an empty weight of 29,500 pounds (13,381 kilograms) and a maximum takeoff weight of 52,500 pounds (23,814 kilograms). 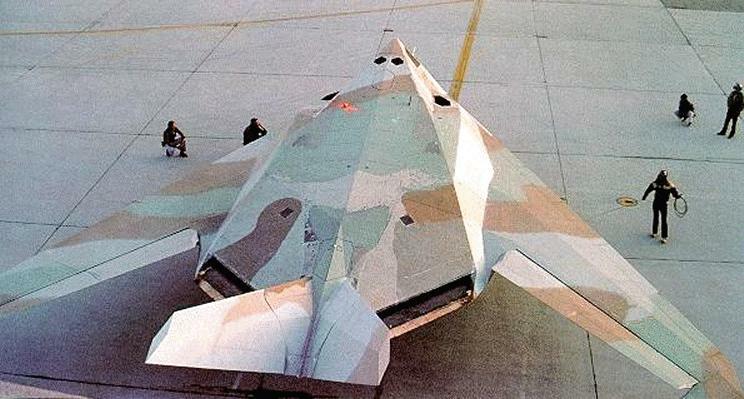 The F-117 is powered by two General Electric F404-F1D2 engines. These are two-spool axial-flow turbofan engines which have a 3-stage fan section, 7-stage compressor and 2-stage turbine. 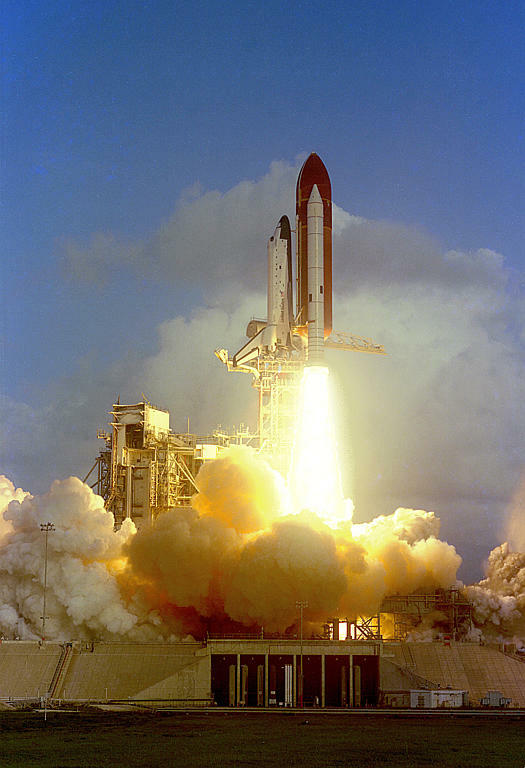 They are rated at 10,540 pounds of thrust (46.88 kilonewtons), each. The -F1D2 is 2 feet, 10.8 inches (0.884 meters) in diameter, 7 feet, 3.0 inches (2.210 meters) long and weighs 1,730 pounds (785 kilograms). 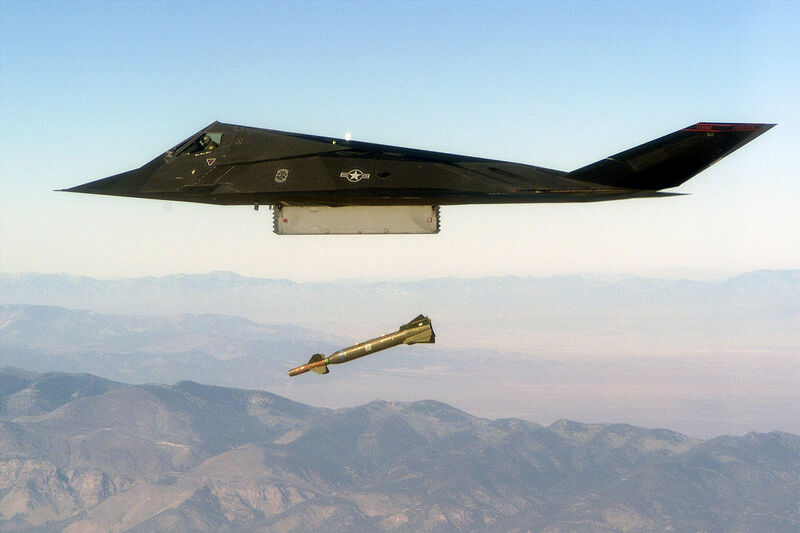 The F-117A has a maximum speed of 0.92 Mach (608 miles per hour, 978 kilometers per hour) at 35,000 feet (10,668 meters). The service ceiling is 45,000 feet (13,716 meters) and range is 765 miles (1,231 kilometers), though inflight refueling capability gives it world-wide range. The Nighthawk has no defensive armament. It can carry two 2,000 pound (907 kilogram) bombs in an internal bomb bay. Lockheed built 5 YF-117As and 59 production F-117As. The F-117s were retired and placed in climate-controlled storage in 2008. Scorpion One, 79-10780, is now mounted on a pylon as a “gate guard” at Nellis Air Force Base, Nevada. 18 June 1937: Leg 20. 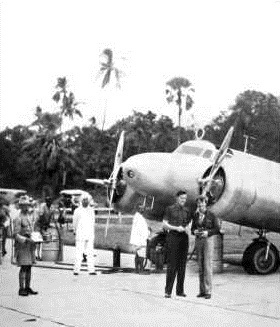 Amelia Earhart departed Calcutta, India enroute to Rangoon, Burma. After a fuel stop at Akyab, she and Fred Noonan continued on their way, but monsoon rains forced them to return to Akyab. “When we reached the airport at dawn nocturnal rains had soaked it. The ground was thoroughly wet, precarious for a take-off. But meteorologists advised that more rain was coming and that likely we could dodge through the intermittent deluges of the day but that if we remained the field might become waterlogged beyond use. That take-off was precarious, perhaps as risky as any we had. The plane clung for what seemed like ages to the heavy sticky soil before the wheels finally lifted, and we cleared with nothing at all to spare the fringe of trees at the airdrome’s edge. For a time we flew through gray skies crowded with clouds that lowered at us as we passed over the many mouths of the Ganges and Brahmapurra rivers…Much of the way from Calcutta to Akyab we flew very low over endless paddies…Akyab is a picturesque place from the air. Two pagodas, covered with gold leaf, stand out…The airport is a port of call for most pilots passing this way. It has two runways and a large hangar. Imperial Airways and Air France stops regularly, and K.L.M., the Dutch line, when necessary to refuel or on account of the weather. . .
“We did not intend to stay at Akyab overnight. 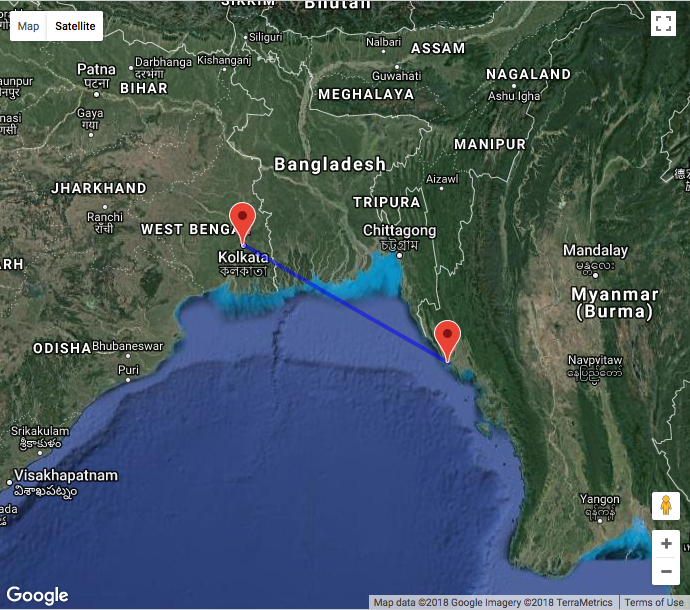 Instead we hoped to reach Rangoon at least, and started off from Akyab after checking the weather and fueling. Once in the air the elements grew progressively hostile. The wind, dead ahead, began to whip furiously. Relentless rain pelted us. The monsoon, I find, lets down more liquid per second that I thought could come out of the skies. Everything was obliterated in the deluge, so savage that is beat off patches of paint along the leading edge of my plane’s wings. Only a flying submarine could have prospered. It was wetter even than it had been in that deluge of the mid-South Atlantic. The heavens unloosed an almost unbroken wall of water which would have drowned us had our cockpit not been secure. After trying to get through for a couple of hours we give up, forced to retreat to Akyab. 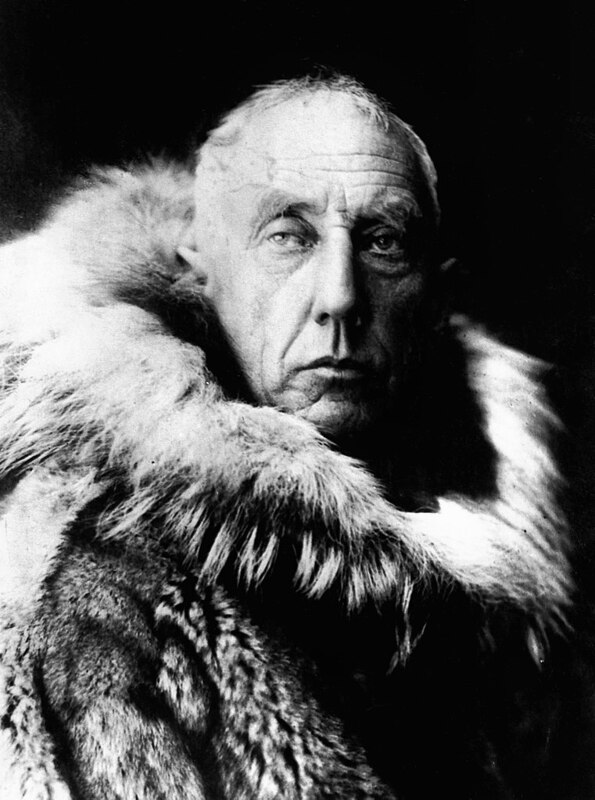 18 June 1928: At 4:05 p.m., Monday afternoon, world-famous Arctic explorer Roald Engelbregt Gravning Amundsen, along with five others, departed Tromsø, Norway, enroute to Spitzbergen, approximately 650 miles away across the Barents Sea. 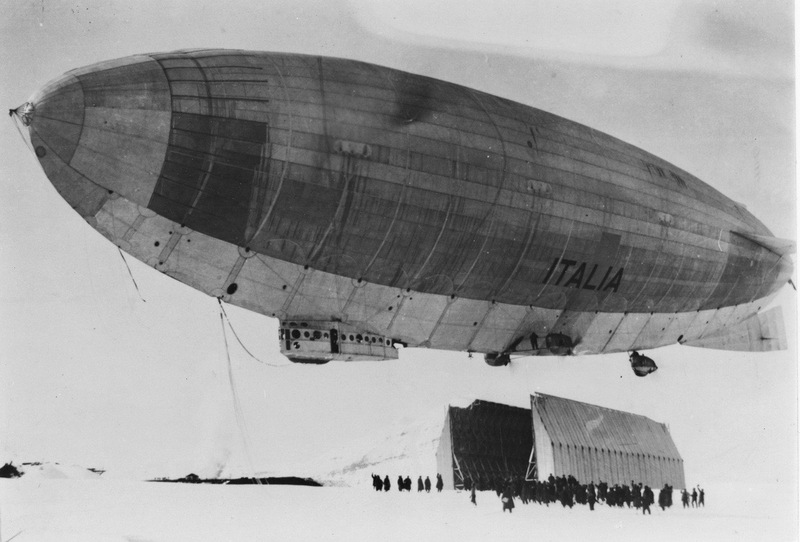 On 25 May, the airship Italia, designed, built and under the command of Umberto Nobile, with a crew of 19, crashed on the arctic ice northeast of the island of Nordlaustlandet in Norway’s Svalbard archipelago. Italia was able to transmit a distress message, and a very large but disorganized search and rescue operation began. 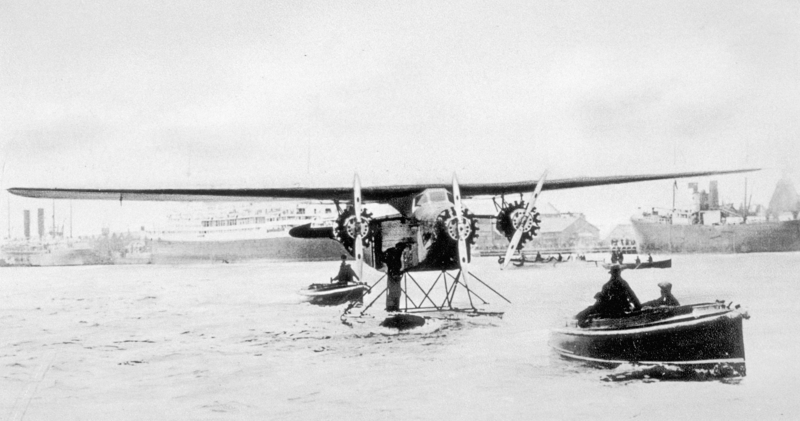 Amundsen made arrangements with the government of France to use a prototype reconnaissance flying boat to look for Nobile and the other survivors. 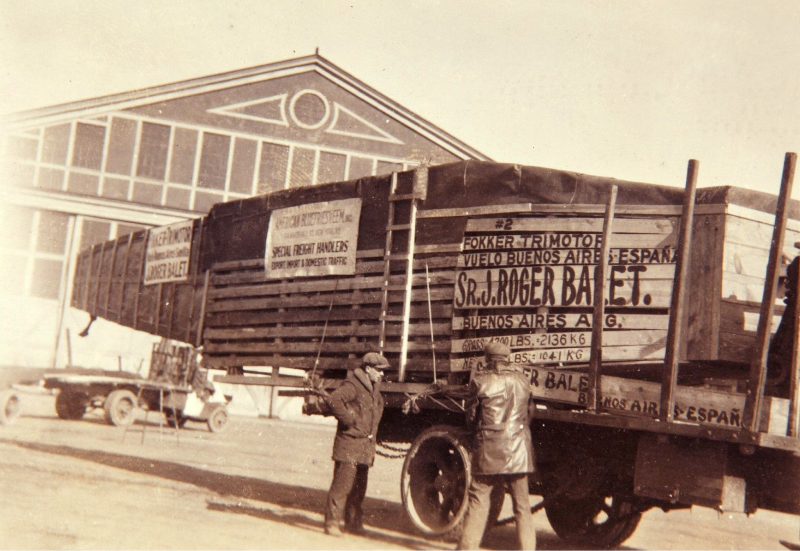 Built by Société Latham & Cie., the second prototype Latham 47, Nº 02 , was being prepared at the company’s factory at Caudebec-en-Caux, Normandy, to be flown across the Atlantic Ocean to New York City by Capitaine de corvette René Cyprien Guilbaud. 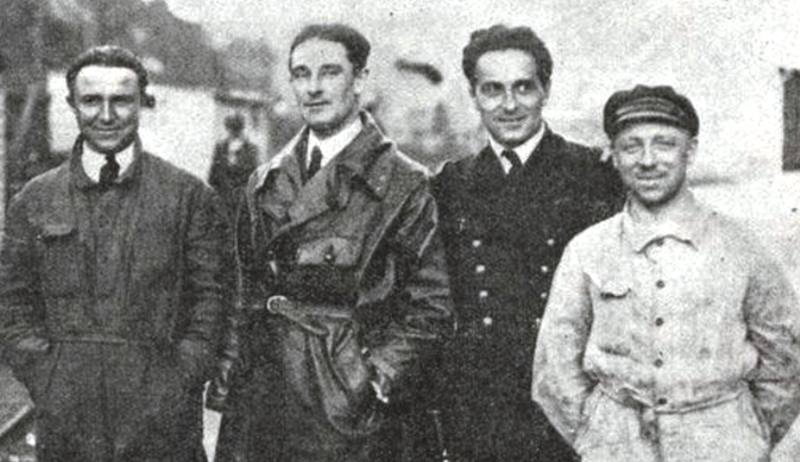 Guilbaud, with Capitaine de corvette Albert Madeleine Ludovic Alphonse Cavelier de Cuverville; Gilbert George Paul Brazy, mechanic; Émile Valette, radio operator, departed on 16 June. 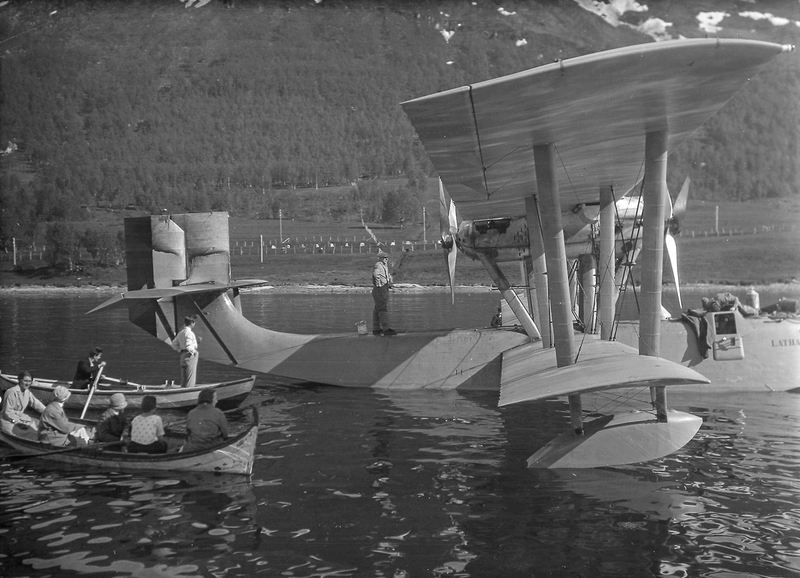 They arrived at Bergen, Norway, the following day, where they picked up Amundsen and pilot Leif Ragnar Dietrichson, who had flown Amundsen on previous expeditions. They continued to Tromsø, north of the Arctic Circle in northern Norway. Nothing more was heard. 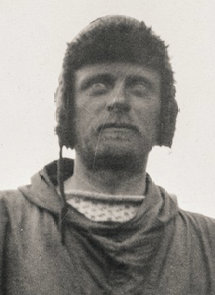 The rescue flight never arrived at Spitzbergen, and the six men were never seen again. 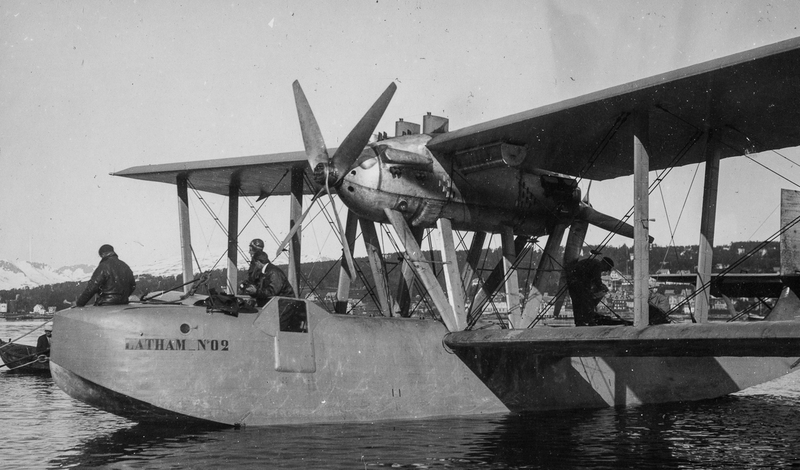 The Latham 47 was a twin-engine, two-bay biplane flying boat, designed as a naval reconnaissance aircraft for the Marine Nationale (the navy of France). The hydroavion was 16.30 meters (53.48 feet) long, with an upper wingspan of 25.20 meters (82.68 feet) and height of 5.20 meters (17.06 feet). The total wing area was 120.02 square meters (1,291.88 square feet). It had an empty weight of approximately 4,900 kilograms (10,803 pounds) and gross weight of 6,886 kilograms (15,181 pounds). The Latham 47 was powered by two water-cooled, 25.485 liter (1,555.166 cubic inch displacement) Société des Avions H. M. et D. Farman 12We “broad arrow” 12-cylinder overhead valve engine with three banks of four cylinders separated by 40°. The engines were mounted in a central nacelle between the upper and lower wings. One was in tractor configuration and the other, a pusher arrangement. The Farman 12We had a compression ratio of 5.3:1,and was rated at 500 chaval vapeur (493 horsepower) at 2,000 r.p.m., and 550 chaval vapeur (543 horsepower) at 2,150 r.p.m. The engines drove four-bladed propellers through a 0.74:1 gear reduction. Each engine weighed 510 kilograms (1,124 pounds), dry. The Latham 47 had a maximum speed of 170 kilometers per hour (106 miles per hour). 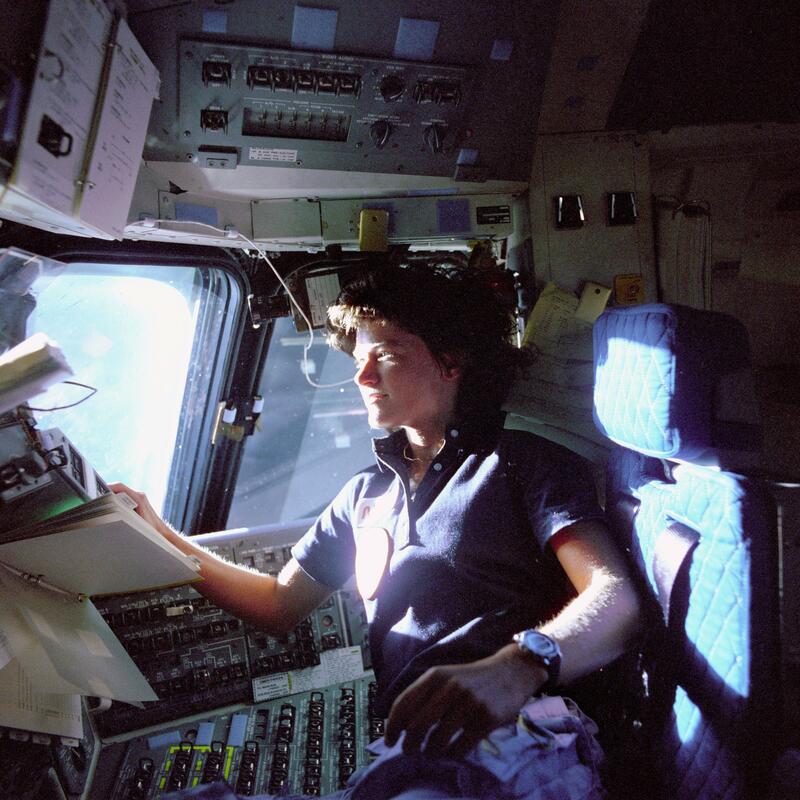 Its ceiling was 4,000 meters (13,123 feet), and its range was 900 kilometers (559 miles). 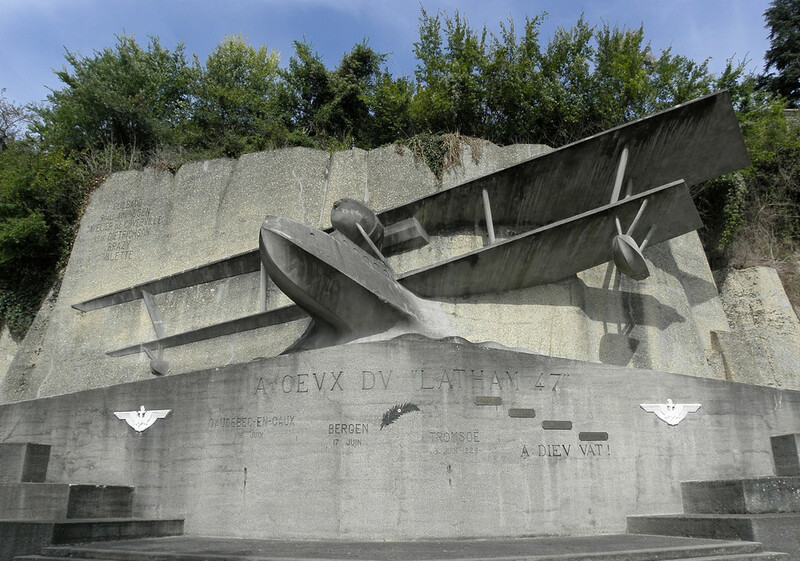 A memorial to the crew of Latham 47 No 02 was designed by architect Léon Rey and sculptor Robert Delandre. 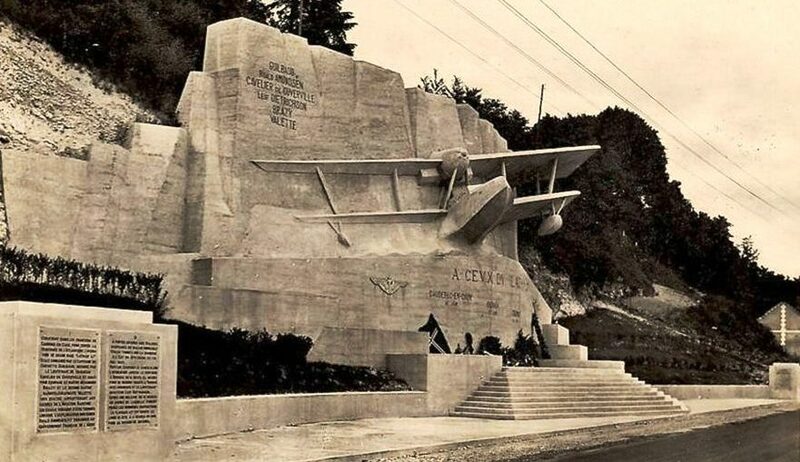 It was dedicated at Caudebec-en-Caux, 31 June 1931. The Latham 47 Memorial at Caudebec-en-Caux, Normandy, France, dedicated 21 June 1931. In 1969, “The Red Tent,” a Russian/Italian motion picture was made about the search and rescue of the survivors of Italia. The movie starred Sean Connery, Claudia Cardinale, Hardy Krüger and Peter Finch. A recent photograph of the dramatic Latham 47 memorial at Caudebec-en-Caux, Normandy, France. 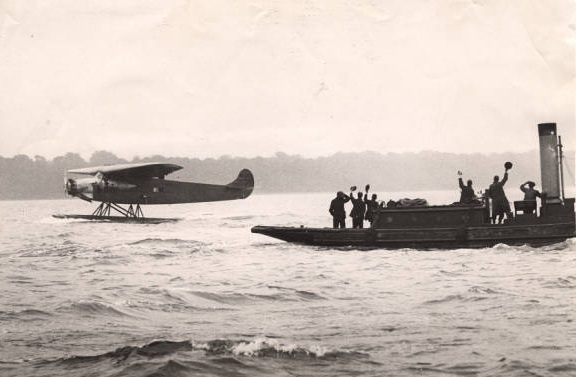 Fokker F.VIIb/3m Friendship on Southampton Water, after the transatlantic flight. 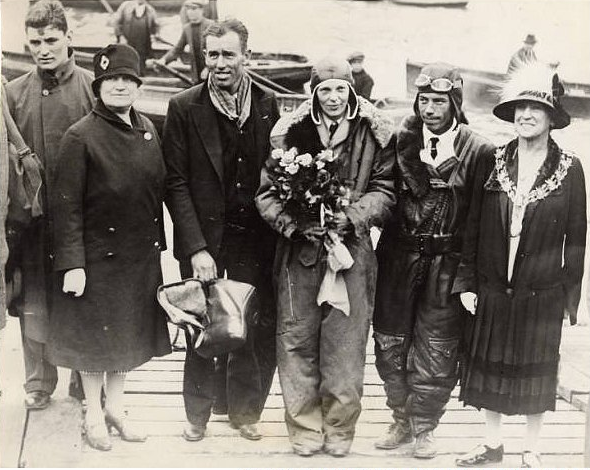 17–18 June 1928: Amelia Mary Earhart became the first woman to cross the Atlantic Ocean by air when she accompanied pilot Wilmer Lower Stultz and mechanic Louis Edward Gordon as a passenger aboard the Fokker F.VIIb/3m, NX4204, Friendship. 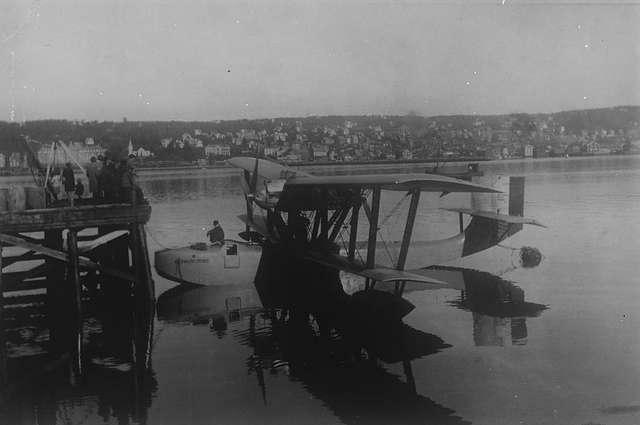 The orange and gold, float-equipped, three-engine monoplane had departed from Trepassey Harbor, Newfoundland and Labrador, Canada, and arrived at Burry Port, on the southwest coast of Wales, 20 hours, 40 minutes later. Amelia Earhart wrote 20 hrs. 40 min.—Our Flight in the Friendship (G.P. Putnam’s Sons, New York, 1928), describing her adventure. 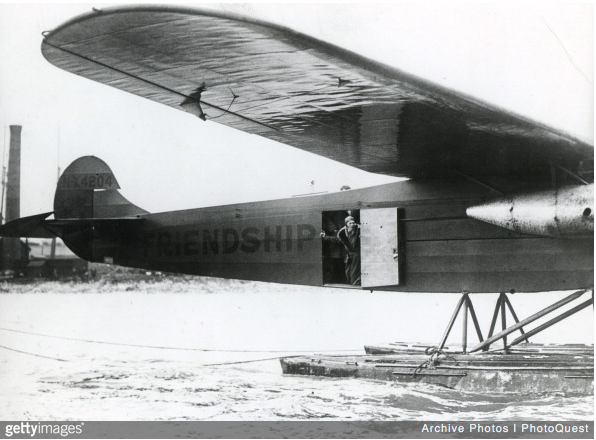 Friendship had been originally ordered by Richard E. Byrd for his Antarctic expedition, but because Ford Motor Company was a major sponsor, he made the decision to switch to a Ford Tri-Motor airplane. Byrd sold the new Fokker to Donald Woodward, heir to the Jell-O Corporation, for $62,000, and it was registered to his Mechanical Science Corp., of Le Roy, New York. 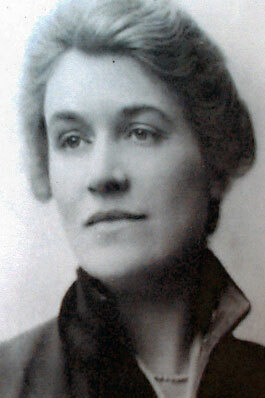 Woodward then leased the airplane to Mrs. Frederick Edward Guest (née Anne T. Phipps, also known as Amy Phipps) for her to cross the Atlantic Ocean by air. She chose the name Friendship for the airplane. Mrs. Guest was a daughter of Henry Phipps, Jr., an American industrialist. She was married to Captain the Right Honourable Frederick Edward Guest P.C., C.B.E., D.S.O., M.P., a prominent British politician, former Secretary of State for Air, and a member of His Majesty’s Most Honourable Privy Council. 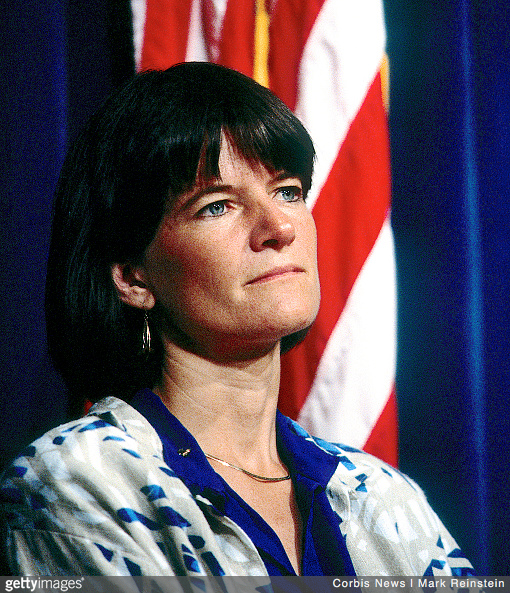 Amy Phipps Guest, however, was a multi-billionaire in her own right. Mrs. Guest was not a pilot, so Stultz and Gordon had been hired to fly the airplane. 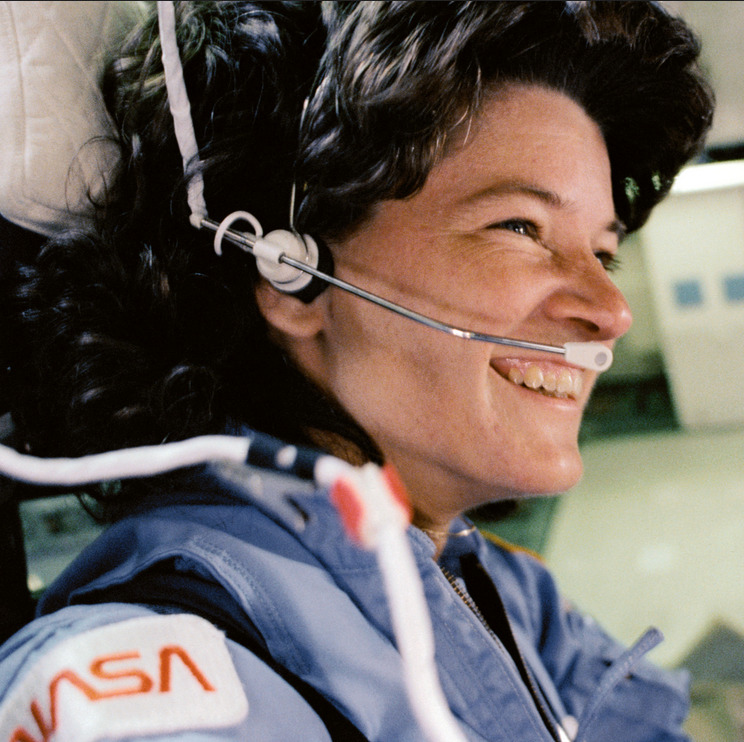 When her family ruled out her transoceanic journey, “an American girl of the right type” was selected to make the flight in her place. Miss Amelia Mary Earhart, a social worker living in Boston, was interviewed and was the candidate selected. — The Sound of Wings by Mary S. Lovell, St. Martin’s Press, New York, 1989, Chapter 11 at Page 104. It was during the planning for this flight that Earhart first met her future husband, George Palmer Putnam. Though Friendship was equipped with aluminum pontoons for water takeoffs and landings, it was otherwise the same type as Southern Cross, the airplane that Sir Charles E. Kingsford Smith flew from the United States to Australia earlier in the month. 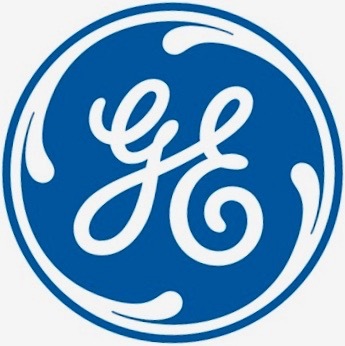 It was built by Anton H.G. Fokker’s Nederlandse Vliegtuigenfabriek at Veere, Netherlands, in early 1928. Friendship , serial number 5028, was the fourth aircraft in the series. 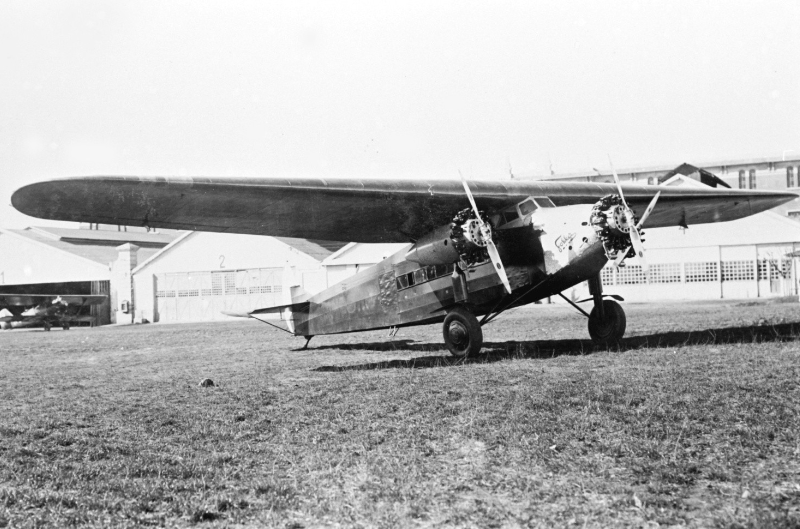 Flown by Bernt Balchen, it made its first flight 16 February 1928. The Fokker F.VIIb/3m is a three-engine high-wing passenger transport with fixed landing gear. It could carry up to 8 passengers. The airplane was was 14.6 meters (47.9 feet) long, with a wingspan of 21.7 meters (71.2 feet) and 3.9 meters (12.8 feet) high. The wing had an area of 67 square meters (721 square feet). Its empty weight was 3,050 kilograms (6,724 pounds) and the gross weight, 5,200 kilograms (11,464 pounds). The F.VIIb/3m was powered by three 787.26-cubic-inch-displacement (12.90 liter) air-cooled Wright Aeronautical Corporation Model J-5C Whirlwind nine-cylinder radial engines. The left engine was serial number 8229, the center, 8280, and the right engine, 8321. These were direct-drive engine with a compression ratio of 5.1:1. The J-5C was rated at 200 horsepower at 1,800 r.p.m., and 220 horsepower at 2,000 r.p.m. They drove two-bladed Standard adjustable-pitch propellers. The Wright J-5C was 2 feet, 10 inches (0.864 meters) long and 3 feet, 9 inches (1.143 meters) in diameter. It weighed 508 pounds (230.4 kilograms). The standard .VIIb/3m had a cruise speed of cruise 170 kilometers per hour (106 miles per hour), and maximum speed of 190 kilometers per hour (118 miles per hour). Its service ceiling was 4,750 meters (15,584 feet). It had a normal range of 1,240 kilometers (771 miles). NX4204 was modified at Fokker’s American subsidiary, Atlantic Aircraft Corporation in Teterboro, New Jersey, increasing the total fuel capacity to 870 gallons (3,293 liters). Friendship was sold to José Roger Balet of Argentina in May 1929, and renamed 12 de Octubre, the date of an important national holiday. On 21 June 1931, the airplane was on a commercial flight from Santiago de Chile to Mendoza when it made an emergency landing in Alto Sierra. It was acquired by General Enrique Bravo for the Fuerza Aérea Nacional, November 1931. The ultimate fate of the airplane is uncertain. Sources indicate that it was removed from service and salvaged for parts after June 1932. Other sources indicate that it was destroyed by accident or fire in September 1934.